The Honorable Ellen K. Berz is a Dane County Circuit Court Judge. She earned her Bachelor of Arts with honors in 1979 from the University of Wisconsin-Milwaukee, where she served as Director of the University Legal Clinic. She received her J.D. from the University of Wisconsin Law School in 1983, where she worked extensively in the Legal Assistance to Institutionalized Persons Program. In 1999, she completed the John F. Kennedy School's Program for Senior Executives in State and Local Government at Harvard University. Judge Berz began her law career as an Assistant District Attorney in Eau Claire County. In 1985, she joined the Wisconsin State Public Defender and started the Baraboo office, serving the counties of Sauk, Juneau, Columbia and Marquette. In 1990, she was appointed Director of the Trial Division, managing the provision of legal services at the trial level by State Public Defender staff throughout Wisconsin. 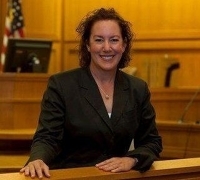 When not in the courtroom as a trial attorney, she focused on staff development as the Deputy Training Director, managed the provision of legal services provided by the nearly 1,000 appointed private counsel throughout Wisconsin as Director of the Assigned Counsel Division, and provided education to agency staff and appointed private counsel as the Director of Training. Judge Berz was elected Dane County Circuit Court Judge for Branch 11 in April, 2012. Judge Berz was an original board member of the Wisconsin Association of Criminal Defense Lawyers and Board Member of the Wisconsin State Bar Criminal Law Section. She was chair of the Defender Policy Group for the National Legal Aid and Defender Association and a founding member of the American Council of Chief Defenders. She also was a member of the National Association of Criminal Defense Lawyers and the James E. Doyle, Jr. chapter of the American Inns of Court. She attended the National Criminal Defense College in 1989 and the National Defender Leadership Project in 1998. She has taught extensively on various areas of criminal law, trial practice, management, leadership and evidence. Judge Berz co-founded and coaches the nationally recognized University of Wisconsin Law School's Mock Trial program.